Contrivances for winding lace bobbins have the centuries-old history as well as the history of lace making. Rests for pillows and winding devices are the first contrivances demanded by lace makers. And these devices appeared before steam-engine and electricity were invented. Nowadays invention of an original winding device is much more difficult task than invention of a new bicycle. It would be laudable to invent something useful for lace making but the invented thing would be scarcely a new one. The Spain lace makers use for a long time the simplest manner to wind bobbins (website: ww.geocities.com/carolgallego/winder.html). Their technique reminds the primeval manage to get fire by means of dry wood stick friction with other wood surface. The stick is reversible rotated with the bow-string that surrounds the stick with one coil. The difference is that lace makers have unmovable bow-string as soon as the stick (i.e. bobbin) moves along “bow-string”. Lace makers use a strong thin thread instead a bow-string. The thread length is about 40-50 cm (16-20 inch). There are two loops at the ends of the thread. A small loop is to attach with a pin, the big one is intended to hold with a finger. The big loop can be substituted with a plastic ring. Lace makers using dozens and hundreds pairs of bobbins can not manage without technical contrivances for winding bobbins. Namely they are who urge inventions. Two basic variants of winding devices roam from one century to another. Variant 1. A bobbin is a part of the belt transmission. It serves as a driven wheel (Fig.4.1). The leading wheel is rotated by hand. The flying wheel 1 and the bobbin 2 are bound with the ring belt 3. The bobbin 2 is pressed into a round cavity of the pole 4. 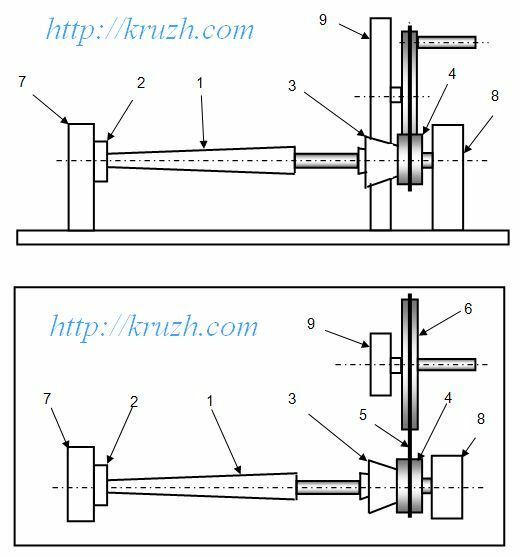 Diameter of the wheel 1 is 8-10 times more then diameter of the bobbin handle. 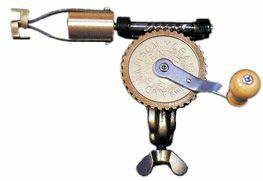 Rotation speed of the bobbin grows at the same degree. – a tail is made for the bobbin handle to center the bobbin in the cavity of the pole 4. Variant 2. A bobbin 1 is squeezed between two rotating centers 2 and 3 (Fig.4.2). The center 3 is active. It is joined with the wheel 4, which is driven with the belt 5 and the flying wheel 6. The second bearing is passive. Rotating details are set on poles 7, 8, 9. – a clamp with 2, 3 or 4 segments. – fasten the bobbin only at the handle (Fig.4.3). At last lace makers could not miss the opportunity to use a sewing-machine as a winding contrivance. As a rule bobbins are wound by hand. Manual winding allows to feel tension of the thread and to control it. 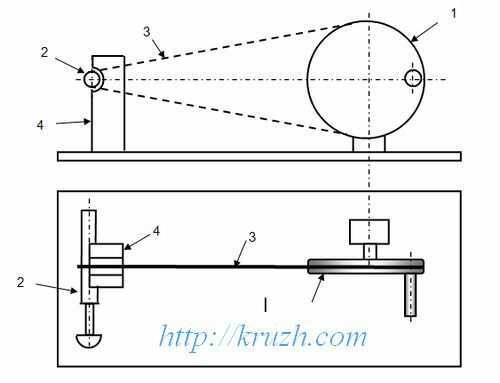 The electric drive of the winding device meets rarely, however there is alike suggestion. The contrivance has an electric motor powered with an accumulator, sometimes – with alternate current net. 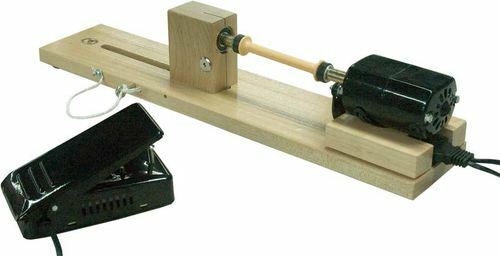 The best electrified bobbin winder (in our opinion) is produced by “Leclerc Looms”, Canada. The advertise photo (Fig.4.4) is placed at website woolery.com. The short review of the foreign winding devices shows that all of them are created for bobbins having standard form and sizes. So all the winding contrivances prove to be devices specialized for the definite bobbins.